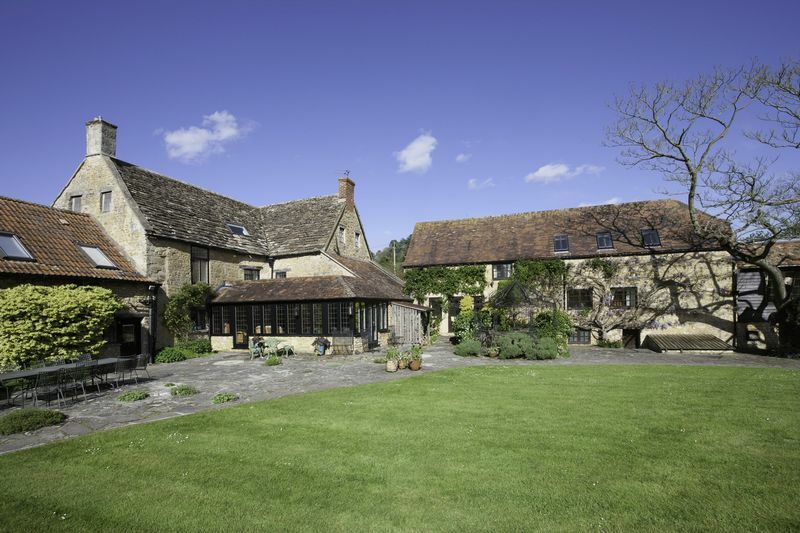 Wonderful Manor house in a quiet hamlet near Bruton. 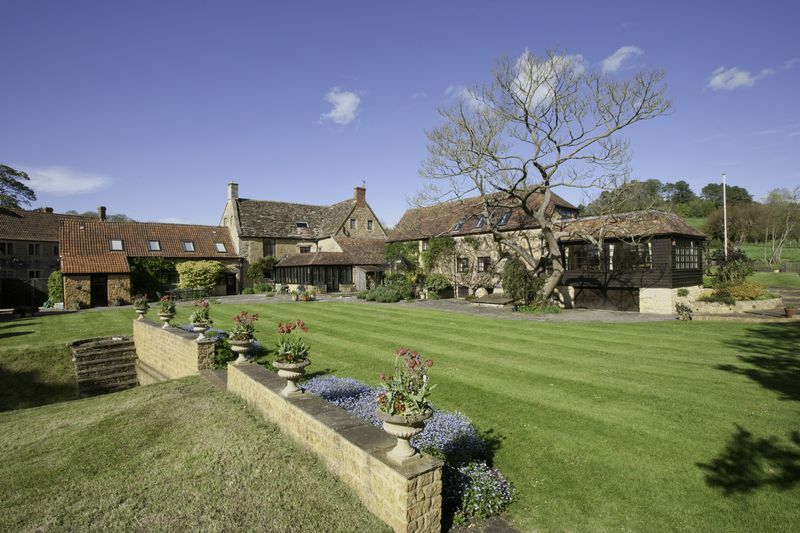 Cole Manor is a Grade II listed historic house (thought to date from 16th Century) with beautiful gardens, land and an adjoining annexe. 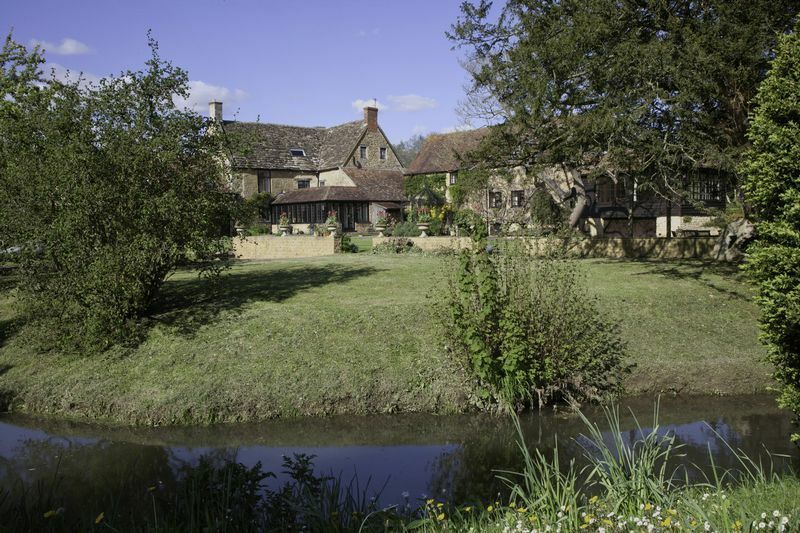 The property has a fantastic setting, not only being located very close to trendy Bruton, but Cole is a particularly beautiful hamlet. 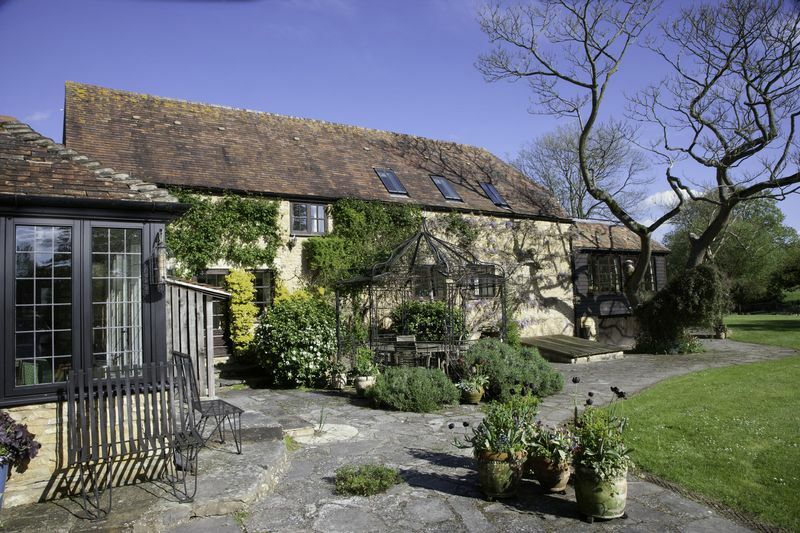 The property has very flexible accommodation with main part of the house having five bedrooms, 4 reception rooms and there is a wing accessed via the entrance hall which offers a further three bedroom self-contained annexe. 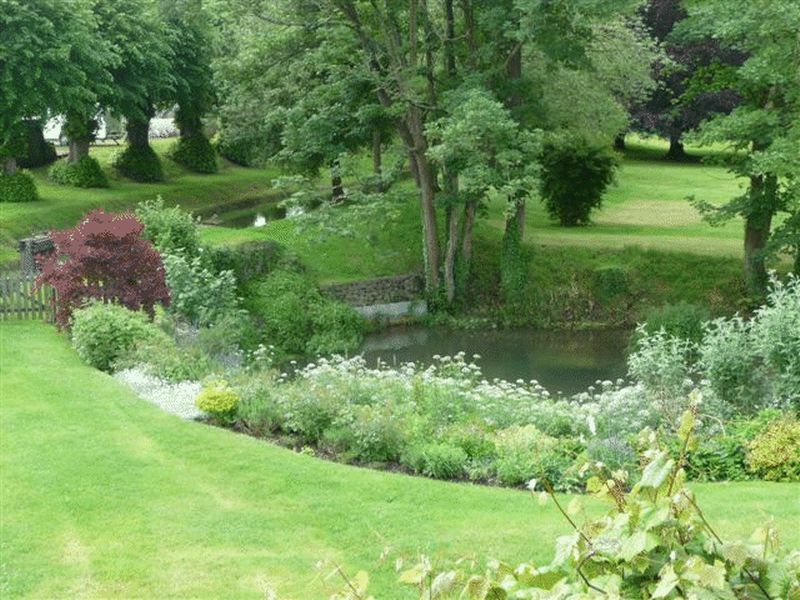 This part of the property has a wonderful balcony overlooking the stunning gardens and can be part of the main living space, but would equally work well as a B&B or separate holiday accommodation etc. 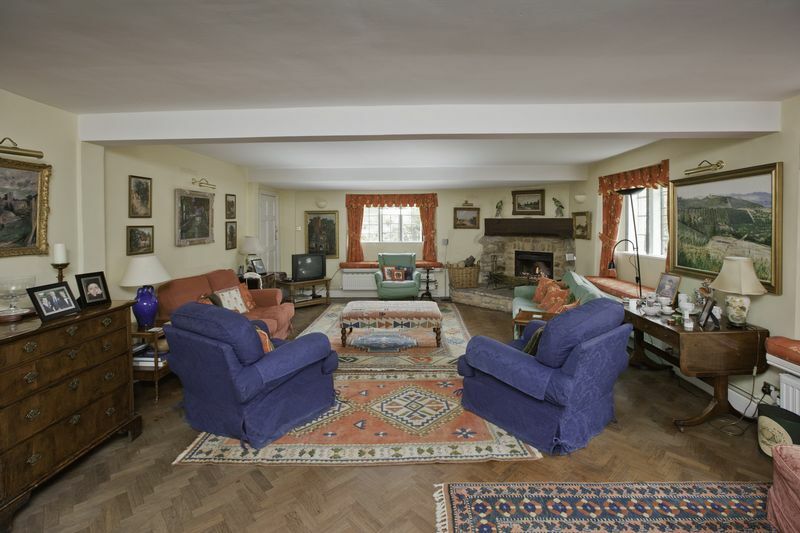 The main part of the house has a lovely light filled garden room which links the very spacious drawing room and cosy dining room. 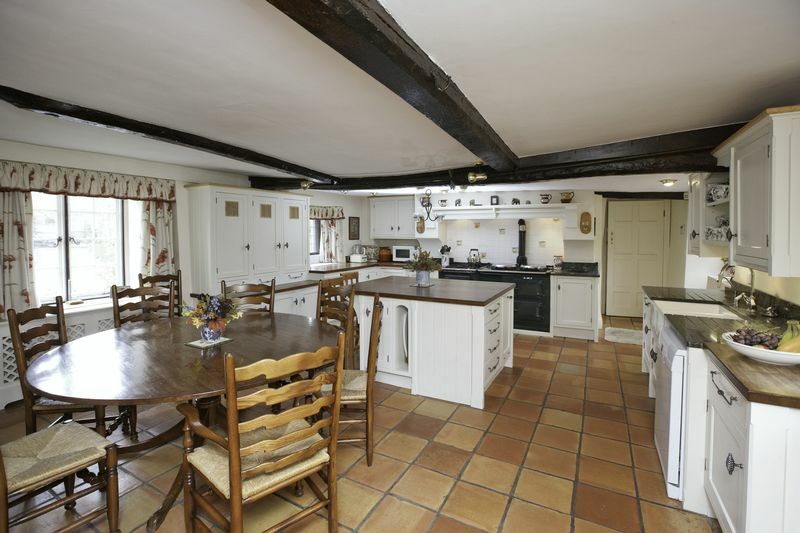 The kitchen is a large farmhouse style kitchen/breakfast room with a gas fired Aga. There are two sets of stairs. One leads to a master suite with dressing room and generous en-suite bathroom, plus there is another double bedroom with en-suite shower room. In addition on this floor there is a family bathroom that serves the other two double bedrooms that are on the top floor. From the large utility room another set of stairs leads up to a sitting room and bedroom with ensuite bathroom. 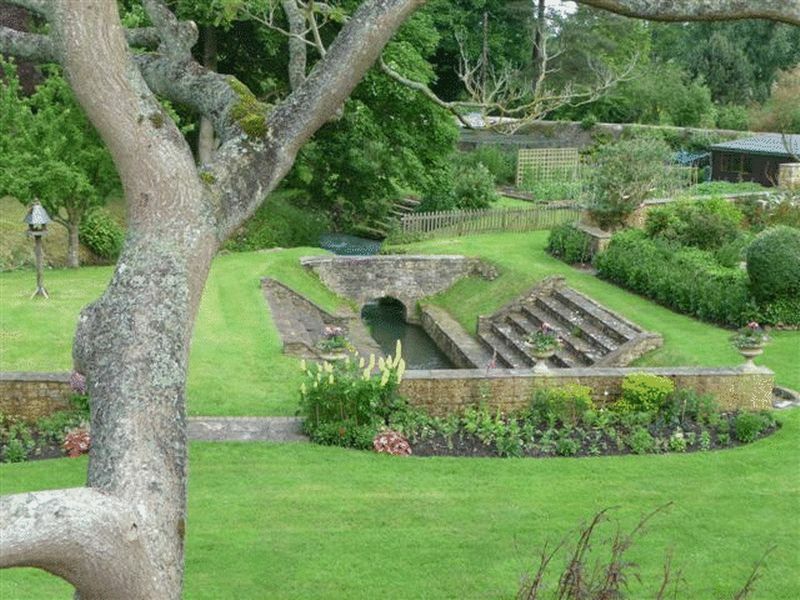 The annexe part of Cole Manor was converted from a mill and there is still a Victorian mill wheel and part of this has been transformed into a micro-hydro electricity generator. 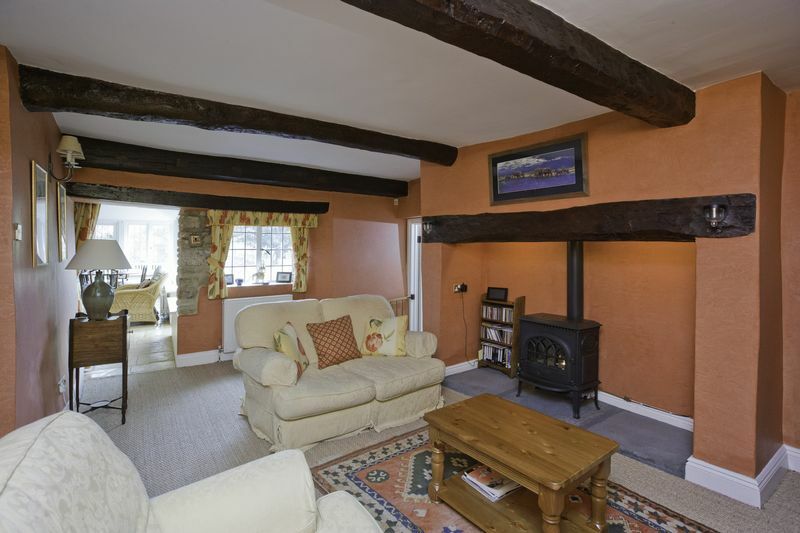 This wing works as an independent three bedroom annexe. 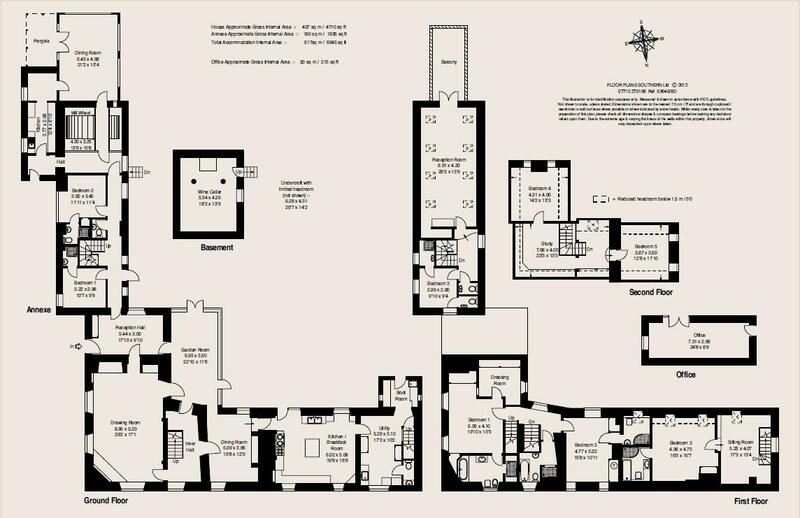 It has its own kitchen, a very large sitting room and a large light filled dining room. 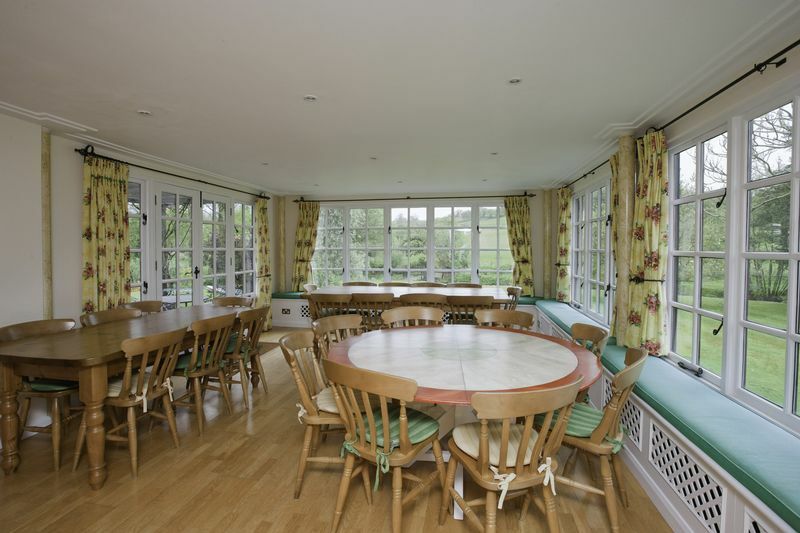 In recent years this property has been a very successful tea room. 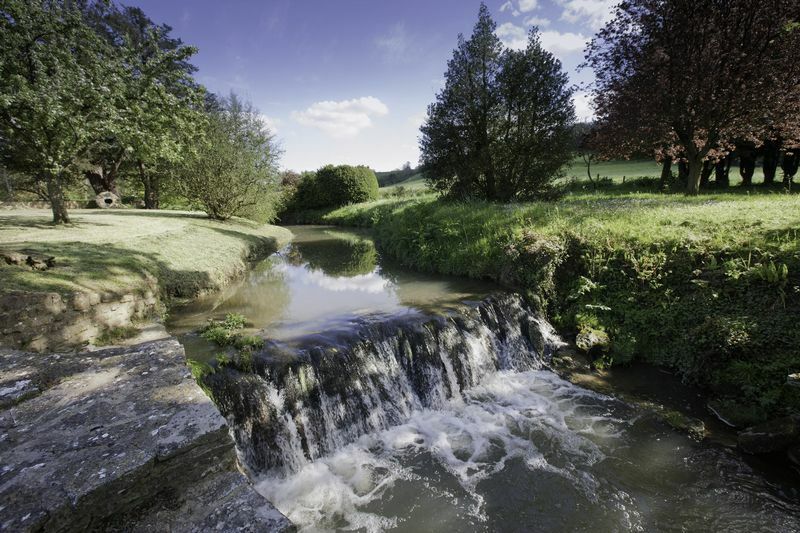 The setting is particularly unique as it combines sympathetic landscaping which is broken up by the river which meanders through the property and it is also set against the natural beauty of the undulating hillside. 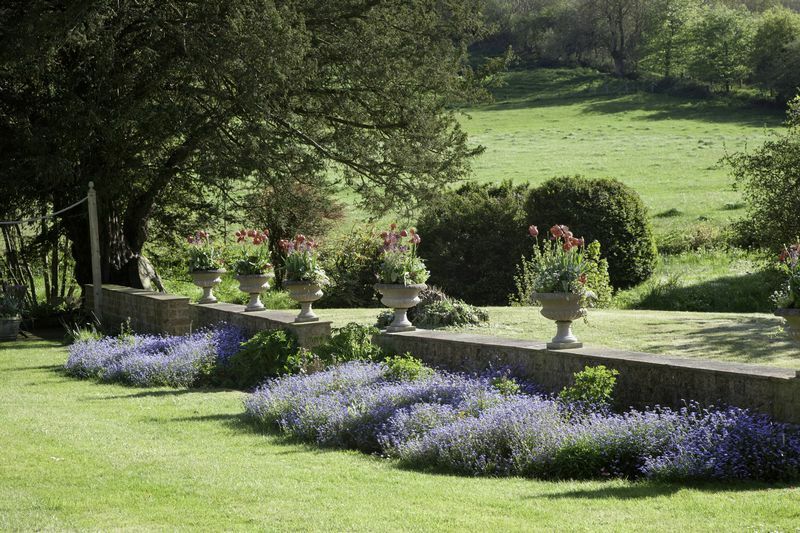 To the western side of the house there is a a well appointed office building, various garden stores, a large greenhouse and a productive kitchen garden. 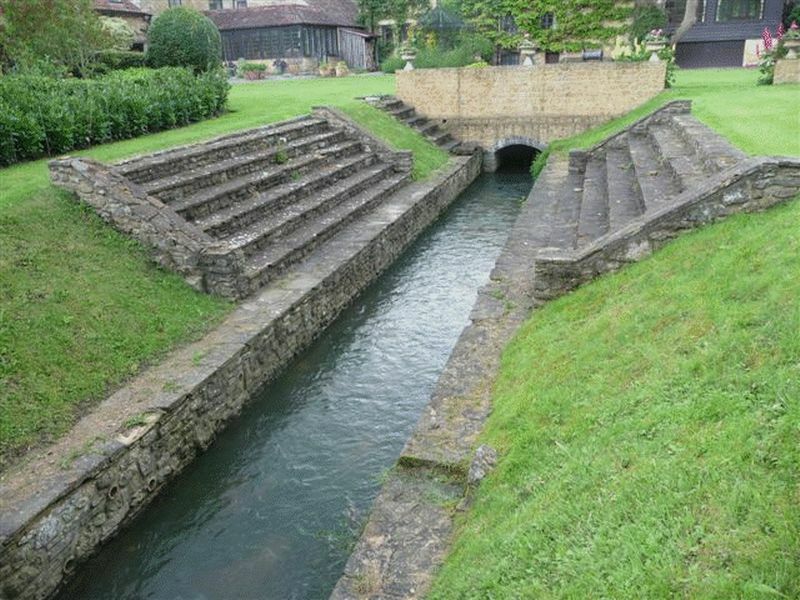 The mill stream emerges in front of the house via a set of terraced steps where there is a circular garden with herbaceous borders. 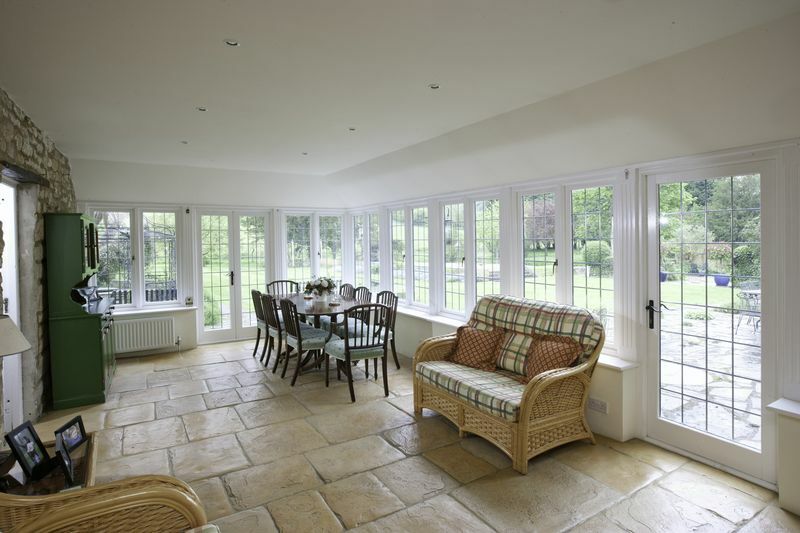 There are several sets of doors that lead out of the property onto the south facing garden which has large areas of lawn with well stocked borders and many mature trees. 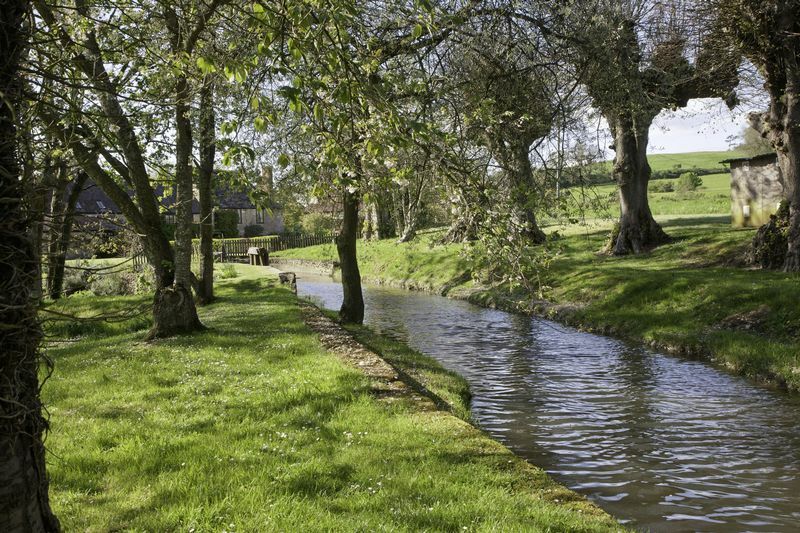 To the eastern side of the garden there is a mill pond, meadow, paddock and agricultural barn. 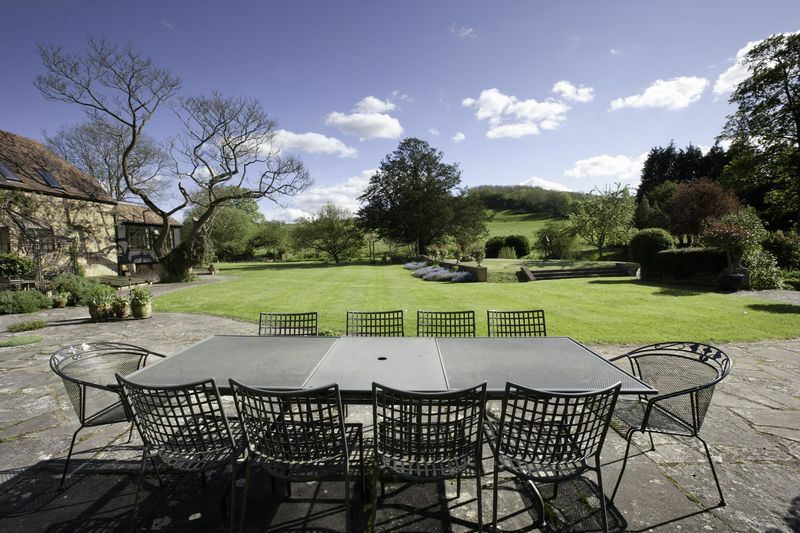 In all the garden is a wonderful feature that makes this property so special. 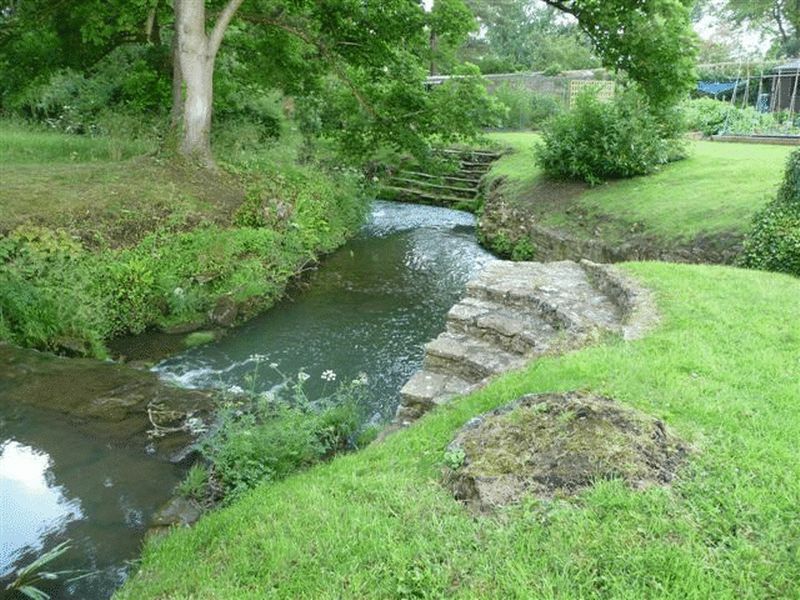 (There is a footpath that follows the boundary on the eastern edge and this has never caused the owners any concern). 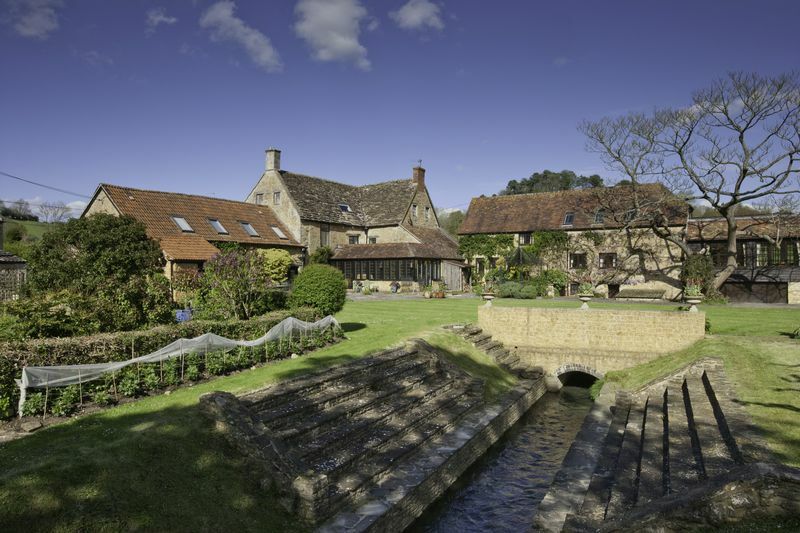 Cole Manor is in one of the most desirable locations in Somerset, being just minutes from Bruton, but set on a quiet road in the tiny picturesque hamlet of Cole which is within beautiful undulating countryside. 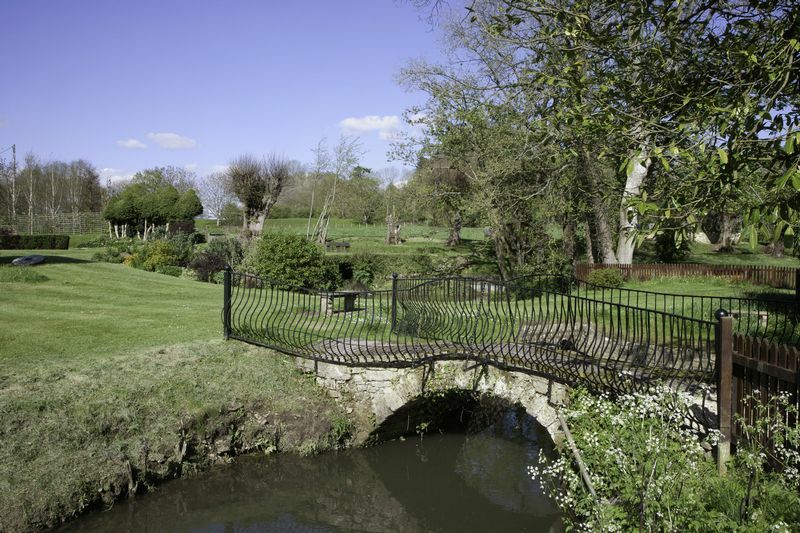 Cole is also only 5 minutes drive from the very pretty town of Castle Cary which has a mainline railway station. 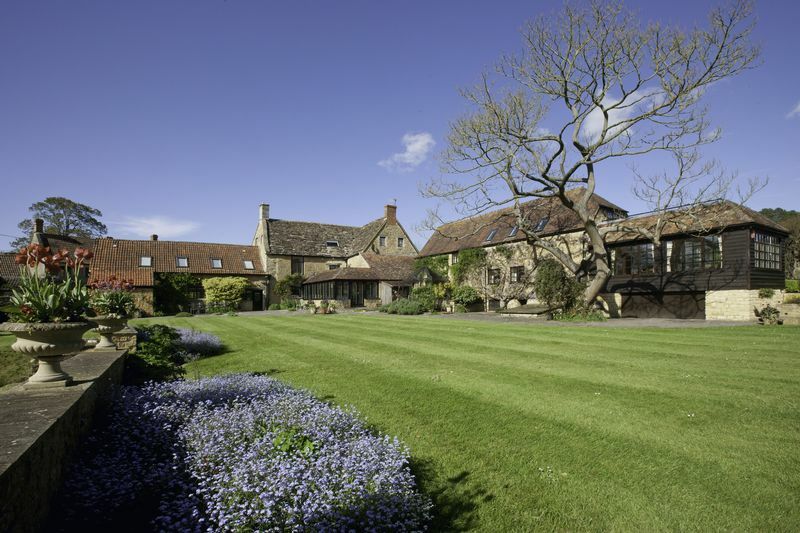 The small market town lies in the heart of the Somerset countryside. It has many independent businesses including shops, boutiques and galleries and at the weekly Tuesday market local producers gather to sell their wares including organic vegetables, artisan bread, cheese, meats and fish. New restaurants have recently opened as well as a wonderful delicatessen and independent wine shop. Other amenities include nursery, primary and secondary schools, health centre, dental practice, library, bank, post office, grocery stores, butcher, newsagent, chemist, pubs, restaurants and and tea shops. Large supermarkets are located in the towns of Wincanton and Shepton Mallet which are both a short drive away and Gillingham (approx 20 mins away) has a Waitrose as does Sherborne (30 mins). For further shopping and recreational activities, Bath, Bristol, Wells and Yeovil are all within about an hour’s drive. The A303 (6 miles) provides a direct route to London via the M3 and there is a mainline rail service from Bruton/Castle Cary to London Paddington (approx. 2 hours) and also the new train to Waterloo (Bruton) . Airports in Bristol and Exeter offer connections within the UK, Europe and beyond. Mains water, electricity and gas. Private drainage. Gas fired central heating and Aga in the main house and separate central heating in the annexe.The FIT income from the micro-hydro generator, which is not taxable, is usually sufficient to offset the annual cost of electricity consumed in the property. 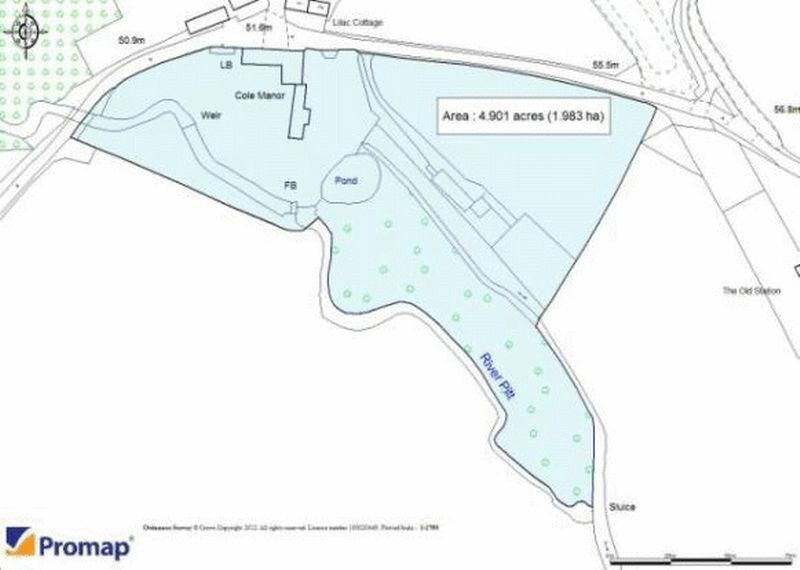 From the centre of Bruton, proceed south on the A359 and after passing under the railway line continue up the hill past Sexey's School until you reach a turn on the right signposted to Cole. Follow this road for half a mile and Cole Manor is to be found on the left hand side.